Provide better healthcare for your patients with the extraordinary imaging capabilities of GE ultrasound machines. GE has long remained one of the world leaders in ultrasound technology, offering everything from specialized ultrasound systems like the GE Logiq e10 to innovative solutions, such as the combination of portability and durability in the GE Vivid iq. At first glance, however, it can be difficult to know which ultrasound you’ll need, and how you can make sure you’re getting the right equipment for your practice, at the right price. At Providian Medical, we offer new and refurbished GE ultrasounds with the goal of helping you provide the best patient care through leading imaging technologies. Unsure of where to start? Click on the links below to jump to the most relevant GE ultrasound information. How Much Does a GE Ultrasound Cost? Not finding the right topic? Call our expert support staff to ensure that you get the top ultrasound for your facility’s needs. GE ultrasounds are well-known for their broad imaging capabilities, reliable system performance and innovative features. Take a closer look at these four factors in the paragraphs below, or make your search even easier by getting in touch with the GE ultrasound experts at Providian Medical. Call today at (877) 661-8224. Whether imaging blood flow in the heart or providing a mother her first, high-resolution images of the growing baby in her womb, there is a GE ultrasound optimized for the services offered at your hospital, clinic, or private practice. Point-of-care ultrasounds are small, compact, and lightweight. These are durable systems designed so that you can quickly transport them to wherever the patient is located, and they often include options from the pocket-sized machines to the consoles that you can upgrade to grow with your practice. GE’s point-of-care ultrasounds are suitable for emergency applications, such as in the ambulance or trauma bay, critical care, or simply bedside. They feature automated tools for making fast decisions when imaging patients, and you can always expect excellent image quality and easy workflow solutions, simplifying the complicated steps needed when imaging in emergency and critical care situations. Through advanced ultrasound technologies for quickening workflows while offering detailed imaging, GE cardiac and vascular ultrasound machines are ideal systems when diagnosing problems affecting the heart and blood vessels. Additionally, you can find a wide range of cardiovascular ultrasounds, from lightweight, compact machines to the advanced 4D technology. Engineered specifically with the urologist in mind, GE urology ultrasound systems are known for their image quality and affordability for most practices. Additionally, GE urology ultrasounds include common features such as portability, fast imaging performance, advanced image technologies (for applications such as prostate, bladder, testicle, kidney, and more), and ultrasound probes for improved patient comfort. As a woman goes through her pregnancy, she requires high-quality imaging at several stages, from the first images of the fetus through the labor and delivery process. From visualizing the fetal position to viewing high-definition 4D fetal images, GE’s range of OB/GYN ultrasounds can help aid your clinical imaging requirements while increasing diagnosis confidence and, ultimately, patient comfort. In addition to matching various systems with your clinical needs and budget, it can help to look at the various types of GE ultrasound machines. First, it can help to determine whether you want a smaller, portable or a larger, and possibly more advanced console ultrasound. Secondly, you can narrow down your search by looking for your ultrasound based on the model line. And lastly, you can make the search easier by understanding the different GE ultrasound model names and their meaning. 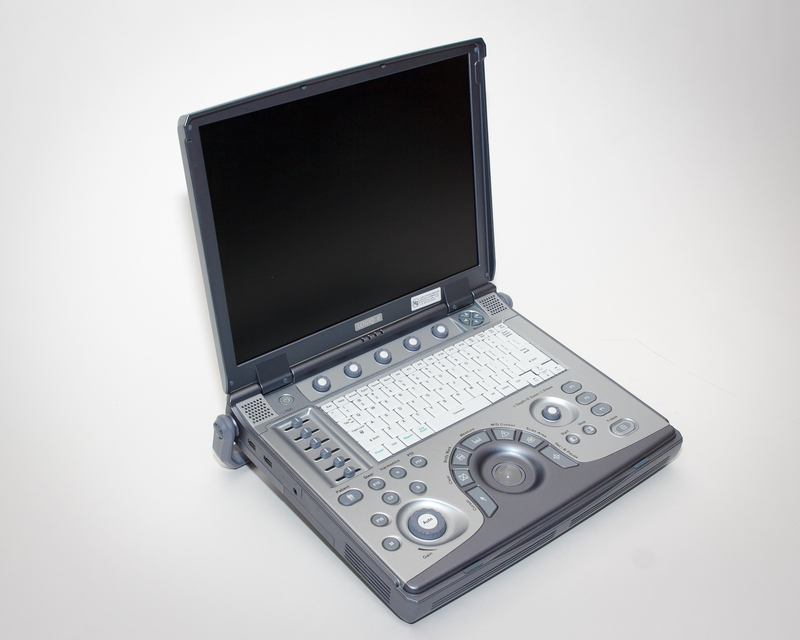 Within each of the various GE ultrasound lines, you can easily distinguish between portable and console machines. This difference is indicated by a letter. 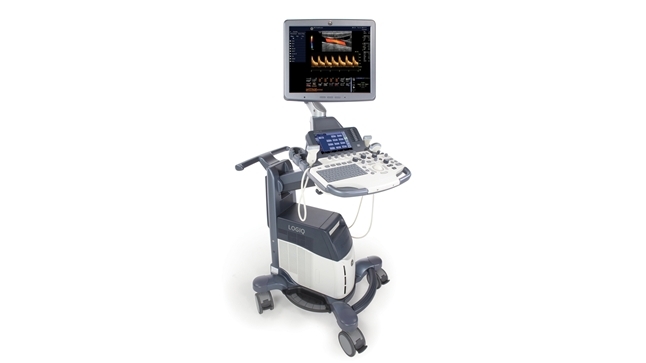 P — GE ultrasounds with a “P” mean Performance and are the low-to-mid console machines. 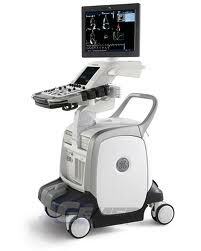 S — GE ultrasounds with an “S” mean Signature and are mid-to-upper range console machines. 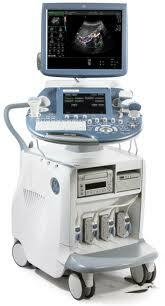 E — GE ultrasounds with an “E” mean Expert and are the fully loaded, high-end console machines. If you have a console ultrasound (P, S, or E), these systems are then followed by a number. Lower numbers indicate a lower-end machine, so if you have a P5 or P6, for example, the P6 ultrasound will have a couple more features than the P5. E — Portable ultrasounds with an “E” are usually the low-mid range machines. I — Portable ultrasounds with an “I” are usually the upper-range machines. Q — Portable ultrasounds with an “Q” are usually the high-end machines. Including both portable and console machines, GE ultrasounds can be broken down into three main product lines, including the Vivid Line, the Voluson line, and the Logiq line. If your primary use is cardiovascular, Vivid ultrasounds are likely the systems for you. Most Vivid ultrasounds also provide numerous benefits for OB/GYN and general radiology for shared-service imaging. GE Vivid q — The q is the advanced version of the Vivid i with the addition of quantification features. 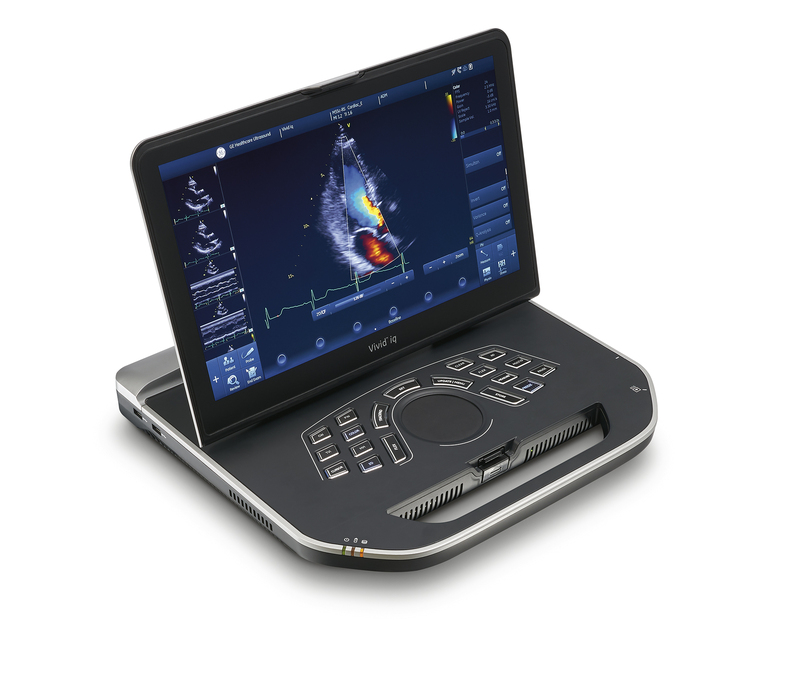 GE Vivid i — The i is the most popular portable ultrasound for cardiac applications. 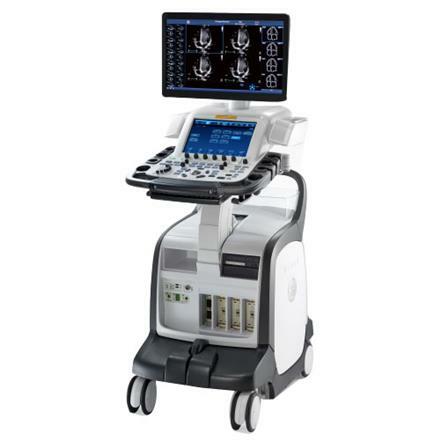 GE Vivid E9 — The E9 is the top-of-the-line, premium cardiovascular GE ultrasounds. 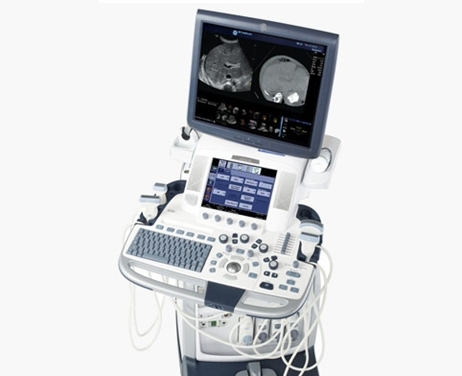 GE Vivid S6 — The S6 is a high-end, cardiovascular GE ultrasound. GE Vivid S5 — The S5 is nearly identical to the S6, but it has less features and a lower price point. Voluson ultrasounds are designed for OB/GYN and women’s health, and these machines are the premium 4D ultrasounds available on the market today. As such, if you want to conduct 4D OB/GYN imaging, and 4D is important to your practice, then you’re going to want to start with the portable and console Voluson ultrasounds. 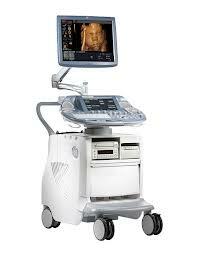 GE Voluson i — The Voluson i is one of the most advanced portable ultrasounds with 4D technology. GE Voluson e —The Voluson e is identical to the Voluson i but it comes with fewer features, lower frame rate, and fewer probe options. It’s also available at a lower price. GE Voluson E10 — Released in 2014, the E10 holds a top position in the Voluson line for its advanced features and dynamic workflow options. GE Voluson E8 — The E8 ultrasounds debuted HD live. GE Voluson E6 — The E6 is identical to the Voluson E8 but it comes with fewer features and probe options. It’s also available at a lower price. 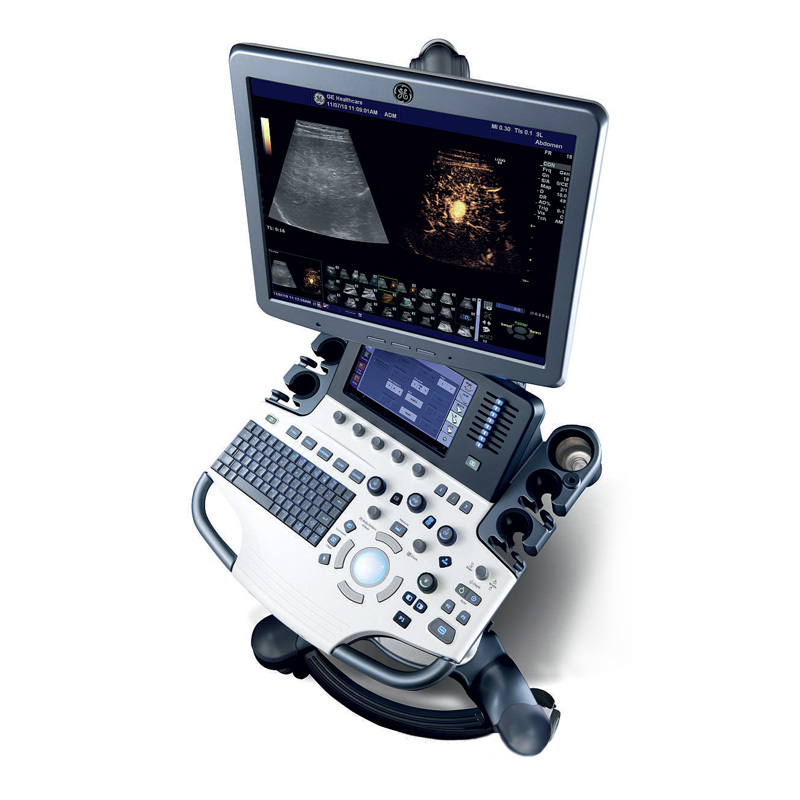 GE Voluson S8 — The S8 is smaller and newer than the E8/E6 ultrasounds, and it has similar features. GE Voluson S6 — The S6 is identical to the Voluson S8 but it comes with fewer features and probe options. It’s also available at a lower price. GE Logiq ultrasounds are best for radiology needs in which cardiac and/or 4D imaging are not the primary clinical needs. 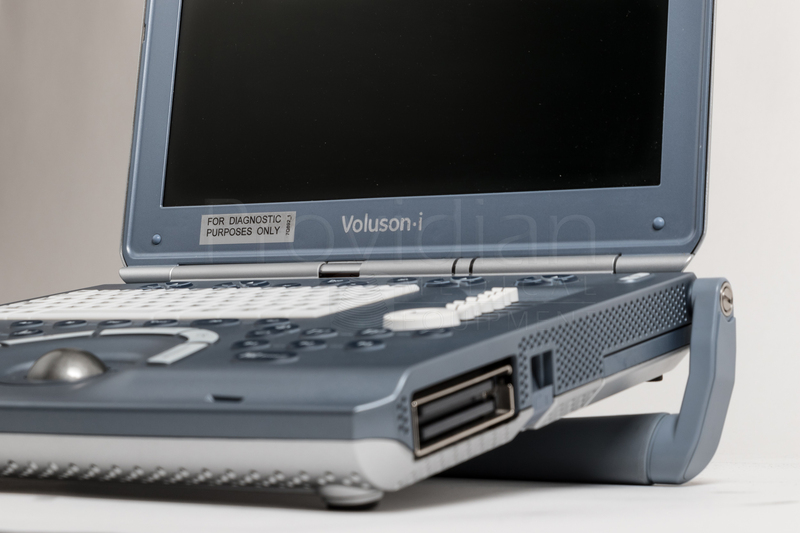 In fact, Logiq shared-service ultrasounds fit between the Voluson’s 4D technology and the Vivid cardiovascular line. Many users consider the Logiq line to be the oldest and safest bet when purchasing a new or refurbished ultrasound, as these systems are designed to meet the widest range of clinical applications. Although you can achieve good cardiac and 4D imaging, Logiq ultrasounds are optimal for OB/GYN, vascular, venus, breast, radiology, MSK, urology, small parts, and more. If you’re imaging patients for these reasons, you’ll likely start with the Logiq line of machines. GE Logiq E9 — The E9 machine holds a top position in the Logiq line for its advanced features and dynamic workflow options. GE Logiq S8 — The S8 is a high-end Logiq machine and it’s just below the E9 in terms of features. GE Logiq S7 — The S7 is identical to the S8 but it comes with fewer features and probe options. It’s also available at a lower price. 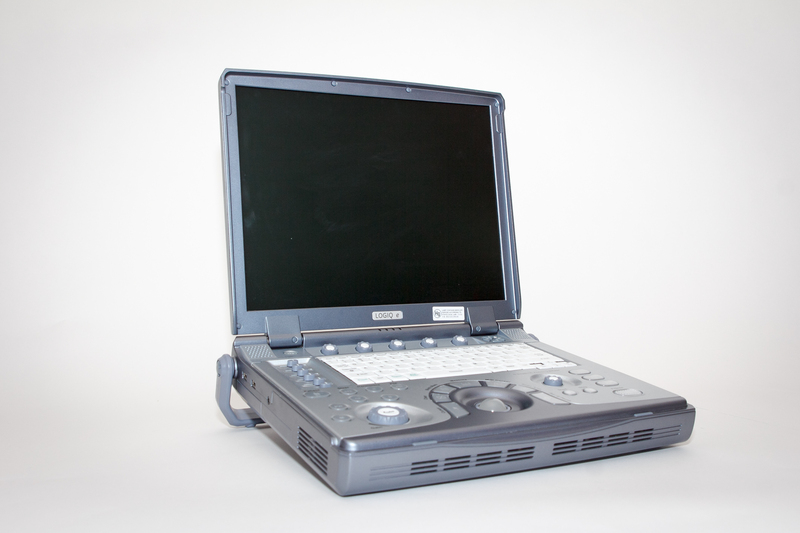 GE Logiq P6 — the P6 is an older, mid-range Logiq ultrasound, and it’s available in both Premium and Pro versions. GE Logiq P5 — The P5 is the premium economy system in the Logiq line, and it’s available in both Premium and Pro versions. GE Logiq P3 — The P3 is the economy version of the Logiq line. In addition to finding the right system, it’s essential to get the most benefit from your machine by using the best ultrasound transducers. By imaging with high-end transducers, you can maximize penetration without sacrificing image quality. While system compatibility and intended primary usage are fundamental factors when buying a GE transducer, it’s also important to consider how you want to visualize anatomical information. 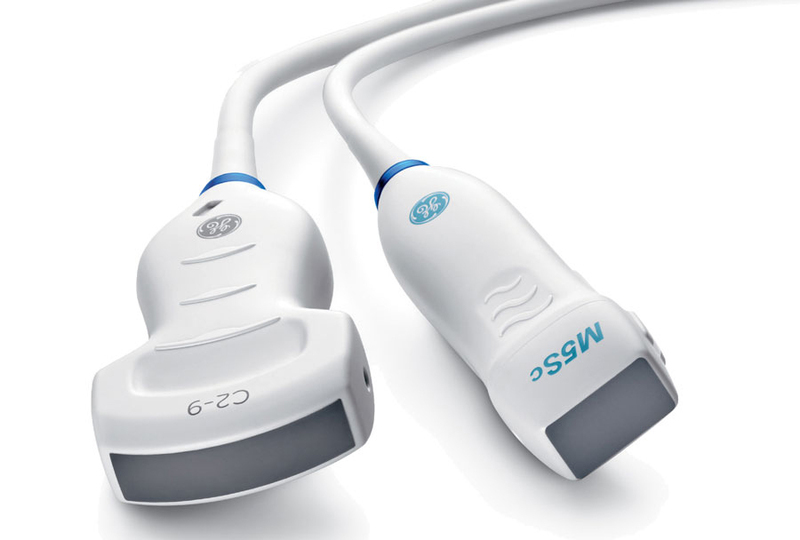 Generally, you can pair your ultrasound with the right transducer by looking at compatible models for the specific ultrasound lines. In general, the price of GE ultrasound machines can vary widely from about $15,000 to upwards of $200,000. A large part of this price depends on the technology required and transducers included. By choosing a refurbished GE ultrasound, however, you can lower this price point significantly. The average refurbished ultrasound can cost from $5,000 to $40,000. 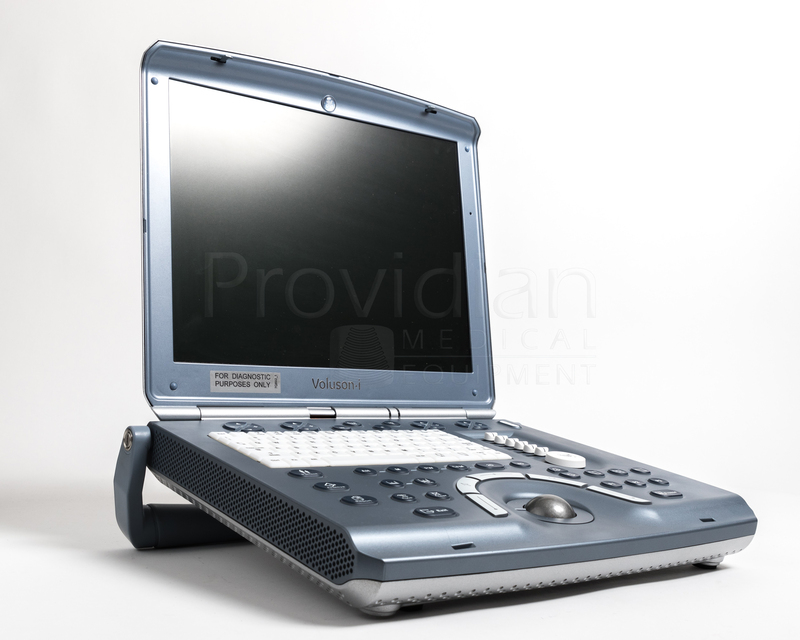 For more detailed information about GE ultrasounds and a price quote for models available from Providian Medical, call our experts today at 877-661-8224. Looking for that blend of ultrasound performance and price can be a daunting task. That’s why we prepared a list of the top 5 GE ultrasound machines. These are reliable, durable systems designed to exceed your clinical imaging needs while providing enough features to help speed along the imaging process. For years, the GE Logiq e portable ultrasound has remained one of the most popular and widely used portable ultrasounds available. With regards to convenience and ease-of-use, the Logiq e ultrasound comes with a 15-inch LCD screen, DICOM, and a lightweight (~11.5 pounds), laptop-style portable design. When looking to take advantage of 4D imaging with one of the most popular ultrasound machines, the GE Voluson E8 serves as a solid solution with the added value of industry-leading 4D for women’s health, OB/GYN, and radiology applications. Designed to keep pace with busy practices, the Voluson E8 uses GE’s Radiance System Architecture to deliver efficient workflows without compromising image clarity and speed. With this high-end system, you can view clear, high-resolution anatomy through its 23-inch widescreen LED monitor. The Voluson E8 also enables customizable formats, allowing for multi-touch imaging and functionality, easy positioning, and ergonomics that reduce strain and improves productivity. 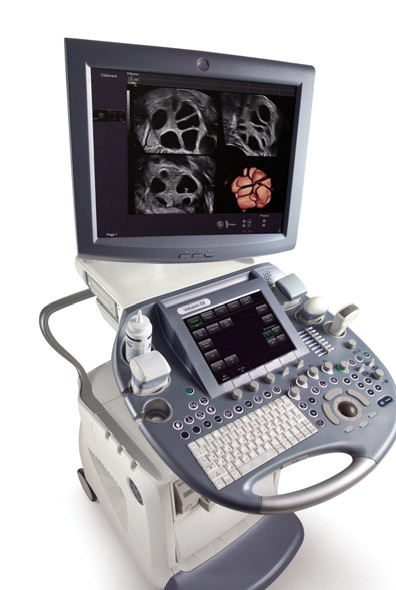 The GE Vivid E9 ultrasound is a highly customizable, powerful imaging system designed for shared service and cardiac imaging. 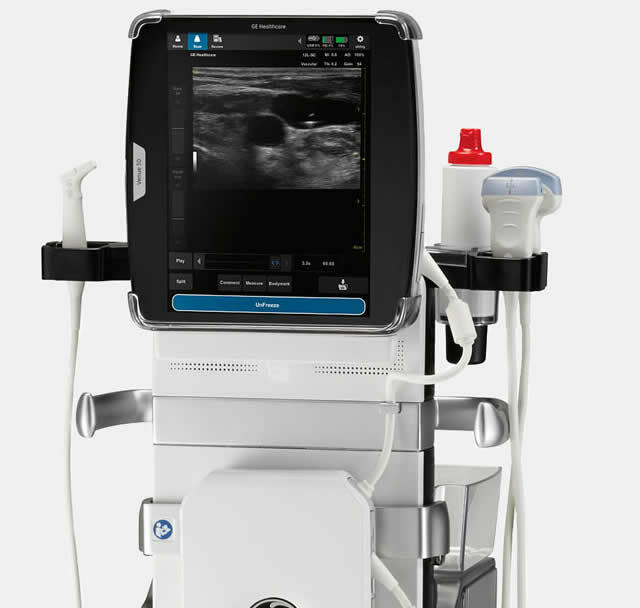 As one of the most versatile and top-selling ultrasounds for cardiologists and vascular surgeons, the GE Vivid E9 ultrasound enables extraordinary imaging capabilities for deep and superficial exams. Additionally, the E9 was built with 4D cardiac imaging in mind, from acquisition, through navigation and quantification, to archiving. During your exam, you can view images with the clear, tilt-and-swivel LCD that’s easily positionable with its articulating arm. It also has a swiveling, head adjustable keyword for improved ergonomics. Featuring a blend of lightweight, portable design with high-performance imaging, the GE Logiq S8 provides next-generation imaging with efficient image management features for optimized workflows. The GE Logiq S8 ultrasound also includes several enhancements for productivity and ergonomics. One of its main workflow technologies is a user-focused design that helps promote comfort and convenience. The S8 ultrasound also has several efficiency features that help you minimize keystrokes while optimizing consistency for a whole range of exams. 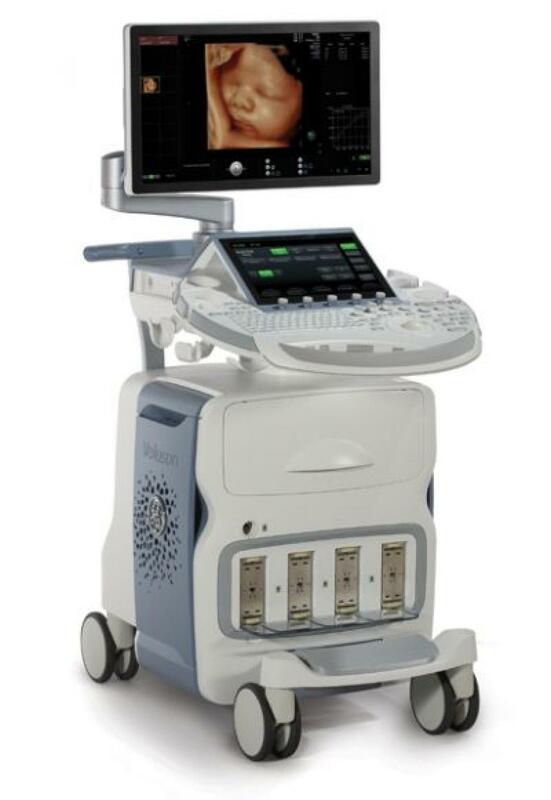 The GE Voluson i is considered as one of the most advanced portable 4D ultrasounds, offering advanced performance in a high-end, easy-to-use machine. As one of the most popular healthcare brands, GE ultrasound machines are designed to meet high expectations for both performance and value. These ultrasounds also enable high-quality imaging for increased confidence and accuracy, while providing comfort and convenience for patients. Finding the GE ultrasound buying process to be a daunting task? Make your search easy by contacting the experts at Providian Medical. Call today at (877) 661-8224.